General Air - Specialty gas, certifications, ultra high-purity, gas monitoring. This typical certification describes the content of any particular gas we produce, it defines the specifications for gases filled in a batch. 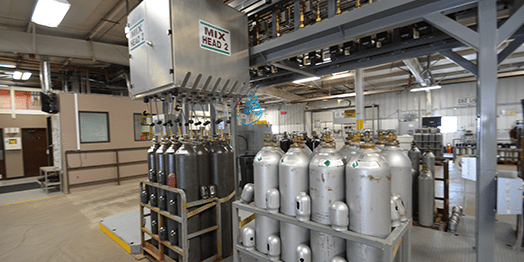 COCs are available by request for all gases. Running a business is hard, ordering product shouldn’t be. Let us set up a custom order interface for your company. Need an invoice, want to check your cylinder count, or look up a price? No problem, we put it all at your fingertips with a customized account portal. Take advantage of the many years of experience our safety specialists have in helping customers identify risks in their business. We’ll come to your site and identify potential problems before they become a real issue – all free of charge! We know you need more than a supplier, you need a partner that can help you effectively manage your resources. Our gas management experts can save you money by evaluating processes such as safety procedures, regulator analysis and standardization, purchase, storage, and distribution. We will perform this analysis that looks for specific impurities in an order at your request. Generally we are looking for moisture and trace amounts of oxygen in a cylinder or vessel. We then attach the certificate to the shipment and guarantee the results. Whether we install it or not, we can help you calibrate your environmental monitoring system for any type of sensor from CO2 to Oxygen, Butane and more. One of the greatest frustrations for customers of compressed gas companies is inaccurate or irreconcilable cylinder delivery and rental invoices. We addressed this issue in 1981 by applying barcodes to every single cylinder in our fleet. Not only were we among the first in the nation to do this, we are still the only distributor in Colorado that uses bar coding on 100% of our inventory. You’ll never have to worry about missing cylinders, mistakes with exchanges, or incorrect invoices – if you got it from us, we can track it for you. Our fill plant is one of the most sophisticated in the nation. The automated system, installed in 2016, has allowed us to exercise the highest degree of accuracy and efficiency in filling vessels. 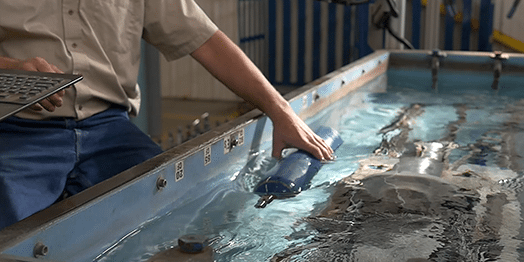 We are committed to maintaining state-of-the-art equipment and facilities, which is why we have invested in an ultrasonic examination testing machine. We are the first and only distributor in Colorado to install this device to facilitate DOT required testing. Not only are we providing you with the safest cylinders, we are saving you money with in-house testing.